Looking to ramp up the scream factor for your trick-or-treaters this year? 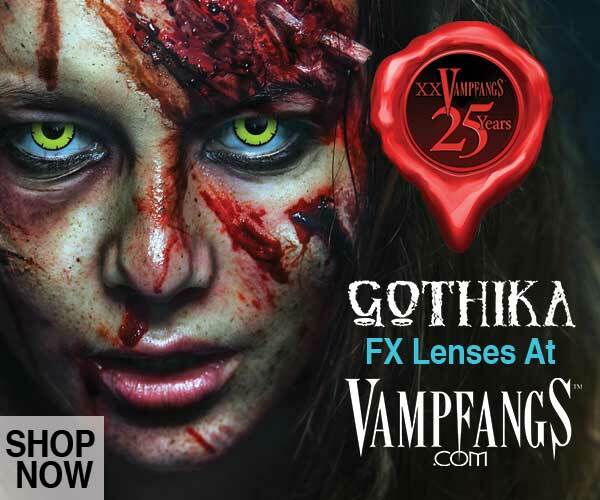 Then add some pro-level 3D effects from AtmosFX Digital Decorations and be the terror of your neighborhood. 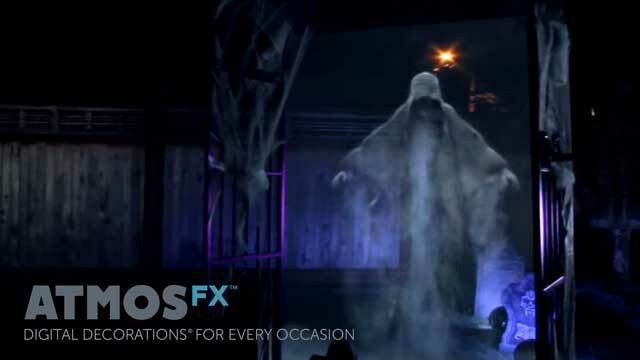 A leader in digital Halloween decorations, AtmosFX illusions are the real deal. They allow you to project realistic images onto walls, windows, floors, TV monitors, your yard, or anywhere else you want to create an unforgettable scene indoors or out. Using the same technology that you’ll see in Disney’s Haunted Mansion, AtmosFX digital decorations are unmatched in quality and detail. 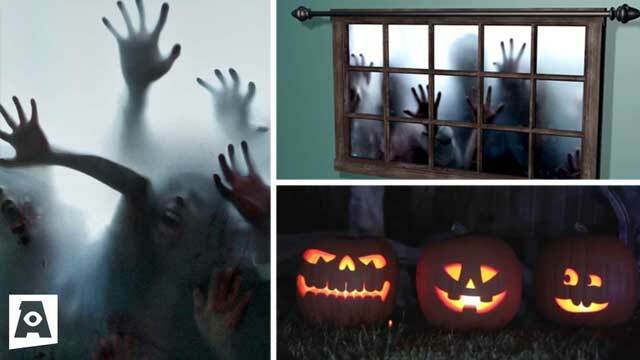 You can literally transform your home into your own haunted mansion! 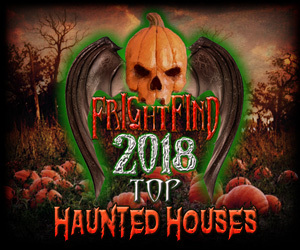 Ranging from pee-yourself scary to family-friendly spooky, the opportunities for frights are endless. 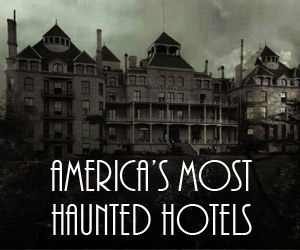 You can literally transform your home into your own haunted mansion! AtmosFX Digital Decorations transform walls, windows, TVs, yards and more! Check out the AtmosFX digital decoration tutorials to see the many ways you can use digital displays to decorate this Halloween. Using AtmosFX is like having your own FX team – except it only takes about 15 minutes to set up. Plus, no clean up! All you need is a projector, DVD player, or computer and you’re ready to start scaring your neighbors or anyone else going by. It’s an easy way to bring some of the same technology and effects used by the pros in places like Disney’s Haunted Mansion to your own Halloween displays. AtmosFX recently released Macabre Manor and Trick ‘r Treat. Macabre Manor features ghoulish family of a long-abandoned estate. The new Trick r’ Treat digital decoration features the character Sam from the cult classic film Trick ‘r Treat. 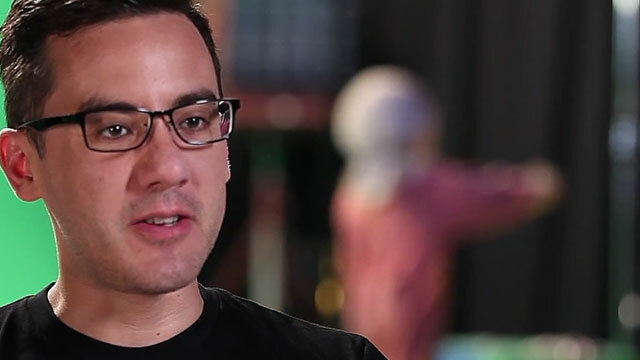 Read the interview with Trick ‘r Treat director Michael Dougherty about the new product. There are several Halloween-themed DVDs or digital download packages to choose from along with other products. 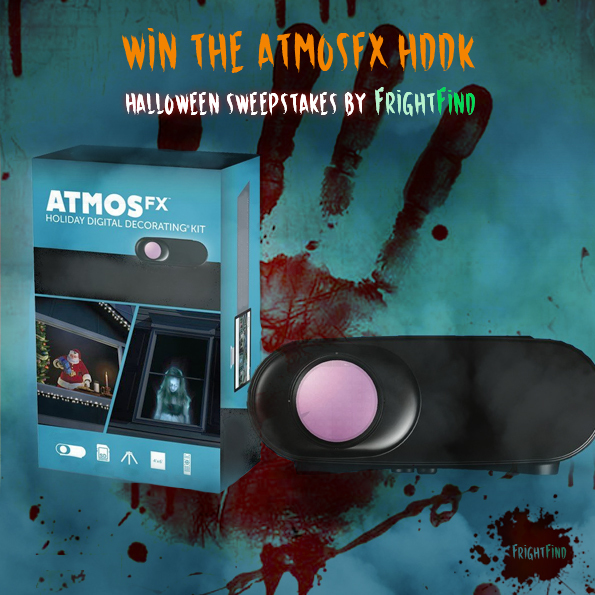 Check out AtmosFX’s tips and tricks videos for ideas and to see the effects in action.